Watch: Melania Trump Shares her Trip to Cairo with a Beautiful Video, Cairo, Egypt. 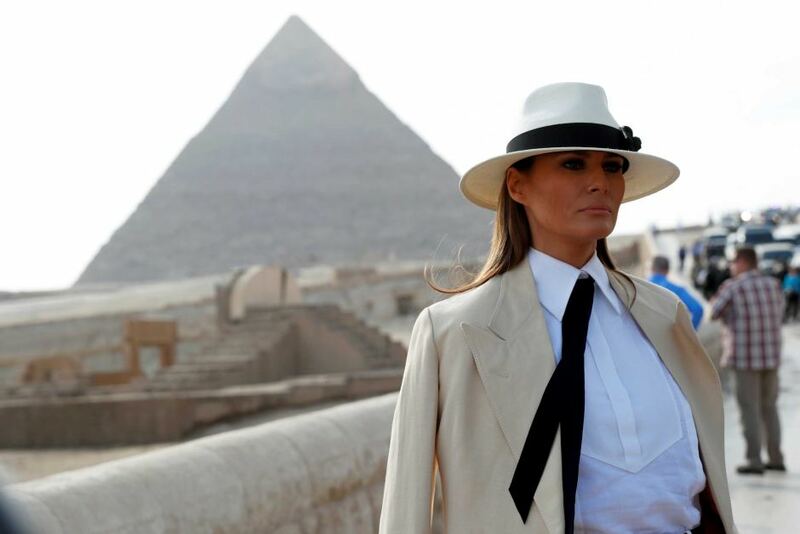 As you all know, America’s first lady, Melania Trump, visited Egypt a couple of days ago. She was welcomed by our First Lady, Entissar El Sisi, and Minister of Tourism, Rania El Mashat. And the whole thing seemed honourable and chic. But then, yesterday, Melania Trump uploaded a beautiful video of her trip on her Instagram account, with a caption saying ‘Thank you Egypt’, and we just love it!